The 2019 Volkswagen Tiguan has been a huge hit on Vienna and Fairfax roads, but if you’re looking for a steal of a deal, check out a used Tiguan for sale at Stohlman Volkswagen. The Tiguan lineup has earned a stellar reputation for quality and performance for years, so buying used is a great way to save money on an amazing crossover. Check out our inventory below to get a sneak peek at what’s in stock at Tysons Corner! Why Buy a Used Tiguan for Sale? When you choose a car like a used Volkswagen, you can buy with confidence! Volkswagen vehicles have been staples on Alexandria and Tysons Corner roads for decades, and the VW Tiguan is one of the most popular models for its comfortable three-row cabin and lively performance. Plus, you can save a bundle when you choose a used Tiguan for sale. Not only will you save on the sticker price, but you can also save quite a bit on everything from insurance costs to sales tax. And if you’re on a budget, check out our pre-owned vehicle specials. Ready for a test drive? 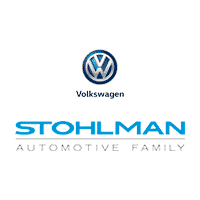 Contact us at Stohlman Volkswagen.